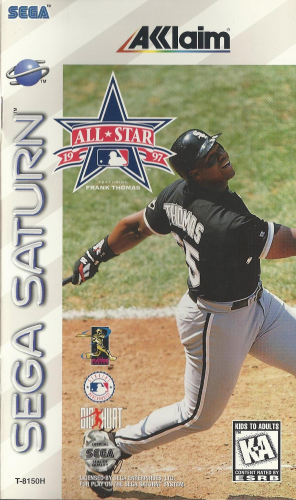 The trials and tribulations of professional baseball come to life with ALL-STAR BASEBALL '97: Featuring Frank Thomas. All of the teams and players of Major League Baseball are here, so you can take your favorite team through the Exhibition, Season, and Playoff modes. Or play with only the best players in the All-Star game. Commentary by ESPN's Jon Miller makes any game great, and helps put you in the middle of the action. Only the best of baseball make it to ALL-STAR BASEBALL '97.